Tucker Barbecues specialise in the best quality stainless steel barbecues to suite any Aussie backyard. Over the last few years we’ve rebranded from the BBQ Factory as many of our customers knew us, to Tucker Barbecues – our equally famous brand of barbecues that we have been making for over 30 years. This rebranding updated our online website as well as our three stores across Sydney, however our staff, owners and products remain at the same high quality we’ve always been known for. As we expand online and continue to ship our BBQs all across Australia we feel that the Tucker brand better represents who we are and where we are going. We’re not a factory, we’re a lifestyle! The BBQ Factory has been a family business for over 30 years. Our founder, Gerry Brown, was a pioneer in gas BBQ design. He designed brass fittings to integrate Primus, Companion and the relevant gas cylinders and camping accessories back in the seventies. Gerry developed a large range of LP gas accessories under the banner of Cook On, which is still around today. After he sold that business he started to build a range of gas and charcoal BBQ’s for Aussie backyards. Over time as weather conditions and heat fatigued the products, there was clearly a need for quality stainless steel BBQs. 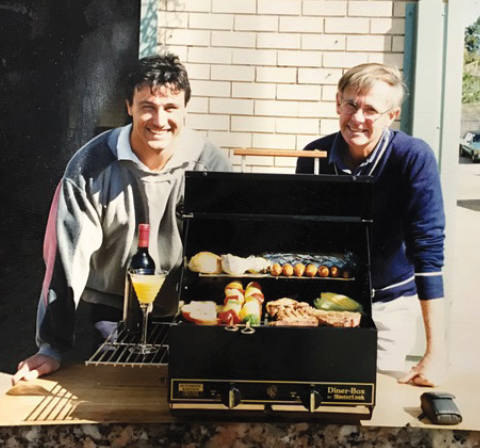 In the late 1980s Russel Whittaker joined Gerry and together they designed Tucker BBQs. With the primary market being Sydney's Northern Beaches their focus was on quality and durability. They made products such as Tucker Boxes, Tucker Grills, Master Cooks, Club BBQ’s, Dinner Boxes, Tucker Mates, along with many others. They found that their testing grounds on Sydney’s Northern Beaches were perfect for developing strong, reliable and resilient BBQ’s. Customer’s requirements became more complex and design was being pushed by the market. Every year they would develop something new for the Aussie BBQ market. Unlike other companies Tucker have been developing BBQs for three decades and over this time, we have found there is a market for quality. We said, "Let’s not bother to make price point BBQs as they don’t make the customers happy in the long run. Let’s try to make BBQs that people want and need in this harsh area. Let’s not worry about the cost of manufacturing and what the products will sell for, let’s just make good BBQs”. This is how Tucker products were created and how the range developed. Today the same ideals are still inspiring our entire product range. Tucker manufacture and sell direct to the market. By cutting out the middle man the best quality BBQs and service can be supplied direct to the consumer through company owned stores. We are dedicated to making quality products and offer great back up service. 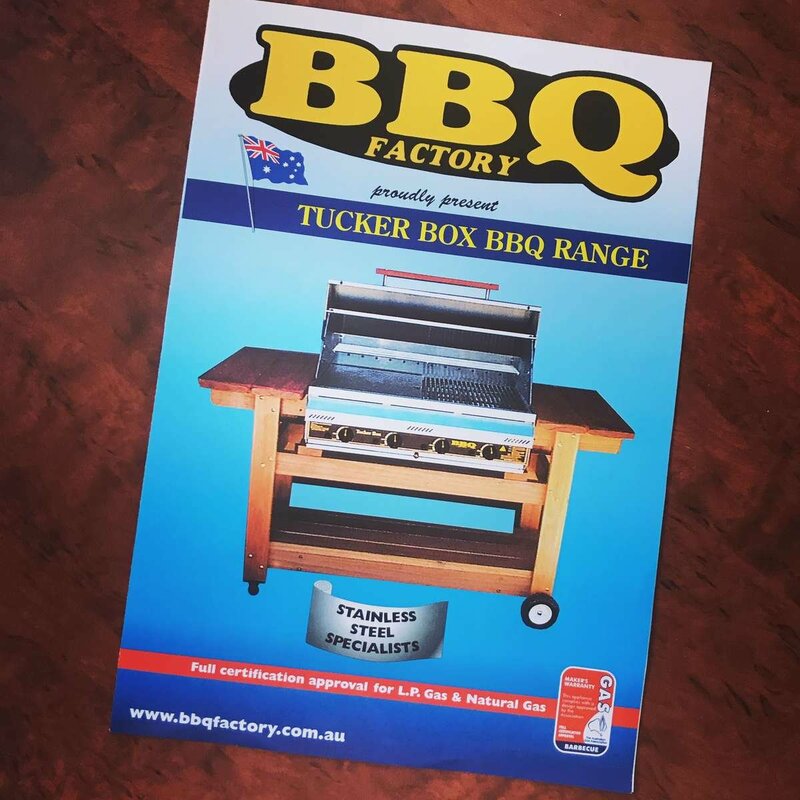 While Sydney is the number one market for sales and service and home to three stores including our Tucker headquarters and main warehouse at Silverwater, Tucker BBQs are shipped Australia wide and even internationally. Tucker is 100% Australian owned and run. Design is customer driven and continues to break new ground in development.